Our friends at Funkfeuer Wien invited us to hold a presentation on this year’s first MoMo (first Monday each Month is special as there are talks about topics that are somehow Funkfeuer related or about the community). The MoMo takes place in Metalab Wien, a hackerspace in Vienna’s city centre. It was great to present some basics on IoT, LoRaWAN and the current developments in our group. 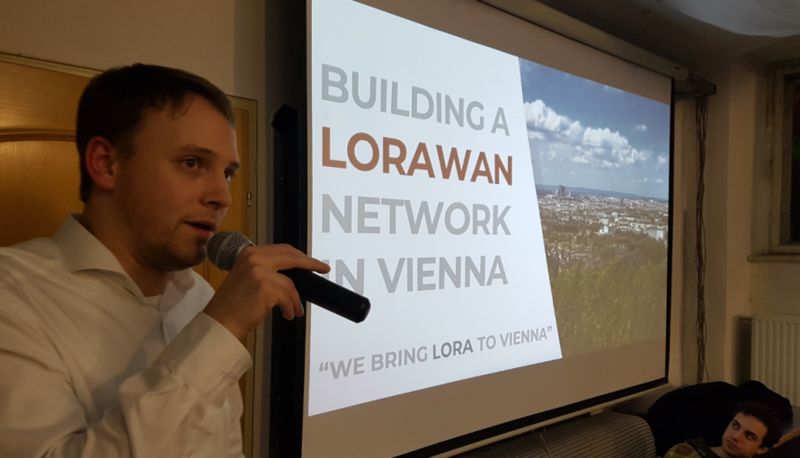 It was a special pleasure to also meet with participants from the Austrian Ham Radio Community and the Verein IoT Austria, who both also work on integrations with LoRa/LoRaWAN. For the adoption the ham radio community prepared a specific website dedicated to the integration of LoRa for APRS already. Mit Erstaunen habe ich (kaum mit dem thema in kontakt gekommen) festgestellt, daß in meiner unmittelbaren Nachbarschaft ein LoRa gateway existiert. Würde gerne mehr erfahren !